The tpl file extension is associated with the RapidForm XOS a 3D real-time scanning software for Microsoft Windows and other applications developed by RapidForm. The .tpl file stores data collection. 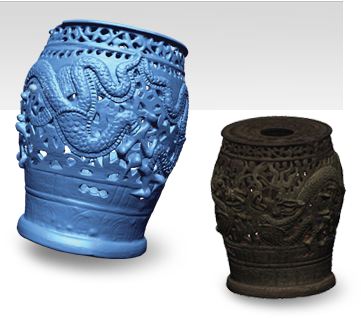 Rapidform XOS works with data from all leading 3D scanners, via LiveScan or native file import. LiveScan offers real-time data capture from many 3D scanners directly into XOS, allowing you to immediately start processing data. The tpl extension file is not meant to be opened manually by the user. Files with tpl extension are not convertable. Click on the software link for more information about XOS/Scan. XOS/Scan uses tpl file type for its internal purposes and/or also by different way than common edit or open file actions (eg. to install/execute/support an application itself, to store application or user data, configure program etc. ).